This is one of the most special and memorable moments two people can ever experience. There is always some some element of pressure coming from the proposer in order to create the perfect setting- from mountain tops to deserted beaches, there are so many beautiful places to choose from! 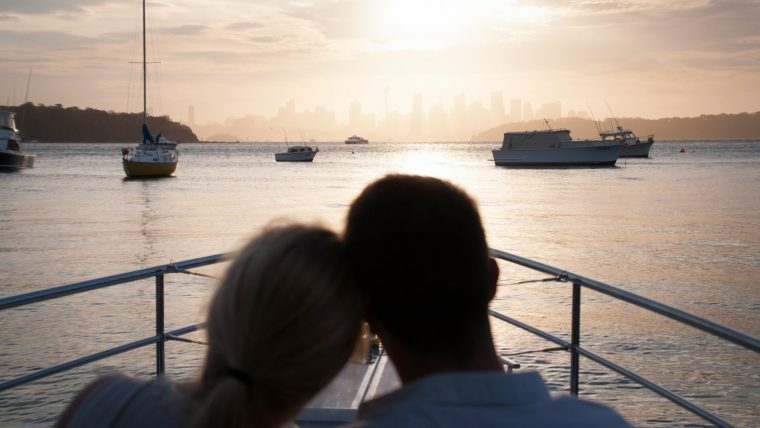 Here are some questions we asked one of our clients, who hired Spectre, our private charter boat, to propose to his stunning fiancé in front of one of the world’s most picturesque backdrops. 1. Why did you choose a boat for your proposal? Boats, and simply being on the water, has always been a big part of our relationship. Our second date was on a boat (our first date was on a Friday night, date #2 was on a Sunday afternoon…I didn’t wait very long to call!) It seems that everywhere we’ve lived or visited, we always find ourselves on the water. I knew I wanted to make the proposal something special and something that she would remember for a very long time, and I can’t think of a better place to be on a boat than Sydney Harbour. 2. Why Sydney Harbour? Had you always had in mind a backdrop like the Harbour Bridge, or was it a last-minute light-bulb moment? Sydney has always been a special place to me; it is one of my favourite cities in the world. My fiancée had never been to Sydney, nor Australia altogether, so I wanted to “share” the city with her, and make it a special place for both of us. Obviously the skyline and the Harbour Bridge make a perfect background, but the entire Harbour is picturesque, and we could’ve taken wonderful pictures anywhere. Now Athol Bay is a very significant place for us, and somewhere that we’ll have to visit many times over the next few years. I’m already looking forward to our return! 3. Did you think you took your lovely fiancé by surprise with the proposal? The proposal was the same day as her 28th birthday. The first (unintentional) surprise was that we were on the boat alone! She thought we were going out on a tour boat with a bunch of other people … I didn’t tell her that, but I guess I never specified that we had our own charter. So that was a good “surprise”, as she probably wasn’t expecting a proposal in the middle of it. Our skipper hid some champagne and chocolates in the cabin and surprised us after the proposal, which was incredible. I definitely needed a glass (or three) of champagne to calm the nerves. 4. Overall, how would you rate your experience with our private charter? It was awesome. I had no idea how I’d pull off photography with the charter. I thought I might have to hire a separate photographer, and have them sit awkwardly alongside us during the cruise, or maybe hide with the anchor inside the boat. The fact that our skipper was able to captain the boat, find a great backdrop, and take professional pictures for us was absolutely incredible. He did it all! The experience was second to none, and your organization made planning so incredibly easy. A big thank you goes out to this client for answering our questions, and allowing us to share some pictures that were captured in this incredible moment.